Good news for the people who are always wanting me to provide info for military families: I've got an interview today with Steve from MilitaryDisneyTips.com! 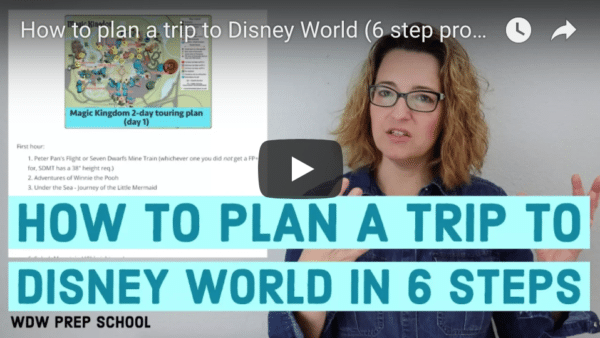 Disney World planning is difficult enough, but when you add military discounts and info on top of an already complicated process, it can seem way too overwhelming. Today, Steve shares info on which discounts are available, what Shades of Green is like, who can take advantage of military discounts and lots more. Steve: Hi Shannon, first thanks for the opportunity to share some info with your readers. My site’s mission is to spread the word about these sometimes confusing discounts as far as possible. Shannon: First of all, who is eligible for military perks, discounts and privileges at Disney World? Great question! 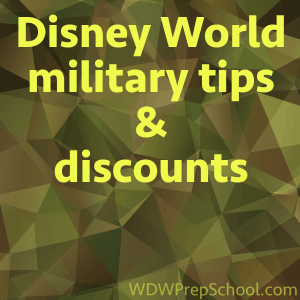 The first thing to understand is that there isn’t just one Disney Military Discount; there are several offers available through several different Disney and the Department of Defense sources. Plus there are offers by many companies in the Orlando area. For this interview I’ll just focus on the main WDW offers. There is apparently a difference between what active, retired and served-but-not-retired people can do. Can you explain the differences? The Disney Armed Forces Salute is a temporary offer (renewed year to year) with fantastic discounts - 50% off 4-day tickets which have either the Hopper, the Water Park Fun and More option, or both options and 30-40% off Disney resorts. These can be purchased directly from Disney or from an on-base ticket office or Shades of Green. This discount is available at WDW and Disneyland. The Regular Military Discounted Magic Your Way tickets have a permanent, slight discount. These tickets are the exact same tickets as those that can be purchased by the general public. They come in 1 to 10 day ticket lengths with all of the various options that can be added (i.e. no expiration, park hopper, and Water Park Fun and More). These are sold at only a slight discount (4-8% depending on length and options) and can be purchased only at on-base ticket offices and Shades of Green. Eligibility for these tickets is the same as the Armed Forces Salute above, except for no Foreign Military. This discount is available at WDW and Disneyland. 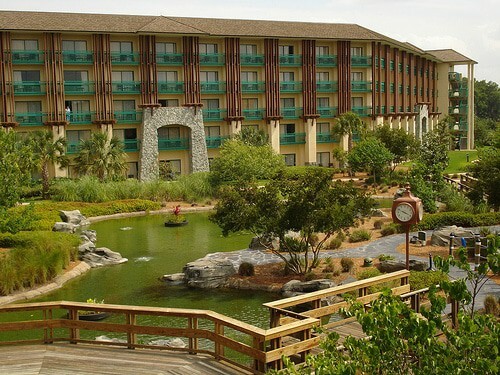 Then there's Shades of Green Resort, the military owned and operated resort on WDW property. Shades of Green offers lower cost deluxe resort rooms on WDW property for military members and their supporters, with rates based on rank. Newer, younger members do not pay as much as senior members. Shades also has a ticket office which sells all Disney tickets at a slight discount and the Armed Forces Salute tickets. They also sell discounted tickets to a full range of Orlando attractions. And Shades of Green offers a special program in the months of January and September which allows anyone that served in the military who was honorably discharged to stay at the resort and use the ticket office (except for the Armed Forces Salute tickets). What form of proof or ID is required in each of those categories? People have told me they've received conflicting info on that. Basically, the required ID is the one issued by the organization the person is a member of. 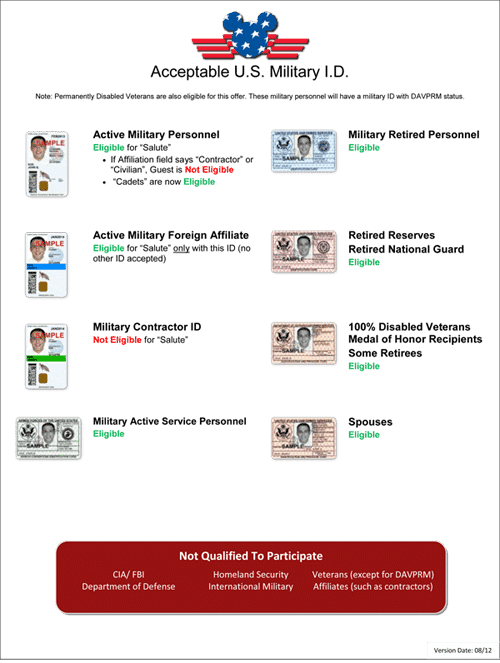 A DoD issued military ID (CAC Card) or retired ID, a DHS issued ID (CAC Card) or retired ID for the Coast Guard. I do have a handy ID guide which was produced by WDW on my site. For Shades of Green’s special offer for non-retired veterans, they’ll need to show their DD-214 (discharge paper). When I wrote about the pros and cons of all Disney resorts, many people thought that I should've included Shades of Green. I know you wrote a whole eBook about that resort. Can you share some basic info on that resort and how it differs in perks from most on-site Disney resorts? Sure, Shades of Green is located across the street from Disney’s Polynesian Resort, between Disney’s Palm and Magnolia golf courses. It shares a parking lot with the golf courses’ club house. In fact, Shades was one of the original Disney World Resorts. It operated under several names during Disney’s ownership, but always functioned as Disney’s golf resort. Shades dates back to the time when the only other Disney resorts were the Contemporary, the Polynesian, and the Fort Wilderness Campground. It was a Disney Deluxe resort and has the largest guest rooms on property. All standard rooms feature two queen beds and a single sleeper couch. Shades has a variety of restaurants, two outdoor heated pools, fitness and full spa facilities, tennis courts, and an Armed Forces Exchange store. They operate their own small fleet of buses which run guests to key locations on property (The TTC, Hollywood Studios, Animal Kingdom, Downtown Disney and the water parks). Shades guests also have full use of Disney’s transportation system. The best perk of staying at Shades is the price; Standard and Poolside rooms range from $95 to $141 per night - based on rank - year round! All purchases on Shades property, including room charges, are tax free. This is because Shades is a DoD facility and state and local taxes are not applicable on federal property. I also love the low-key, friendly atmosphere. It is a smaller deluxe resort and everyone who stays there is part of the same "family." I find guests are much friendlier to each other than at the Disney resorts. Eligible guests may sponsor non-eligible guests (family and friends) in up to three rooms and their spouse may also sponsor up to three more rooms, for a total of 7. That is great for hosting a family gathering. They offer several sizes of suites, from two to four rooms which can sleep from 6 to 12 people. Suites range in price from $235 to $375. The ticket sales office is a great benefit. As I mentioned before, they carry all varieties of Disney tickets and passes at discounted prices, plus they also carry discounted tickets for many other attractions such as: Universal Orlando, SeaWorld, Busch Gardens, Kennedy Space Center, Wet n’ Wild, Ripley’s Believe It or Not, Gatorland, and many Orlando area Dinner Shows. Shades also offers meeting and conference facilities as well as great options for weddings. Other than being able to stay at Shades of Green, what are some of the best military discounts/perks/privileges? There are some other great discounts and programs for military members. As far as hotels go, the Disney World Swan and Dolphin offer a special military rate and the Downtown Disney Resorts offer a 20% military discount. Many non-Disney owned Downtown Disney restaurants and merchants offer military discounts of from 10% to 25% off. Each day at 5 p.m., in the Magic Kingdom Disney holds a Flag Retreat, the formal lowering of the flag for the day that takes place on military installations every day. Disney Cast Members and a special guest or two participate in the ceremony. Each morning, Disney Cast Members select military members or retirees at random to participate. It is a very moving event that everyone should try to see. Moving off Disney property both Legoland Florida and SeaWorld parks (SeaWorld, Busch Gardens) offer special salutes of their own. Many other businesses offer military discounts on everything from airport transportation to stroller rentals. My motto is to always ask if a discount is offered; it never hurts and it could definitely help. I understand that Military Salute Tickets are discounted tickets that can be purchased on military bases, but the new FastPass system requires that you have park tickets linked to your account ahead of time. Am I correct in assuming that Military Salute Tickets can't be linked before arriving to Disney World? How do you suggest guests handle FastPass reservations if they plan to purchase Military Salute tickets? Wow, this has been the biggest issue in our community lately! Again, this is not a simple, straightforward topic. First, military guests need to be staying at a Disney resort and have their reservation linked to their My Disney Experience account. Shades of Green is currently not eligible for all of the My Magic Plus enhancements. We don’t know yet if they eventually will be or not, once Disney’s testing is over. The Regular Military Discounted Magic Your Way tickets were never an issue as they are just like any other WDW ticket. You’d buy just them on Base and then link them to your MDE account using the number on the back, then start making your FP reservations. What was in question was the Disney Armed Forces Salute tickets. These tickets require activation by Disney upon arrival when purchased on base. In previous years, AFS tickets bought on base were a hard plastic ticket with a cool patriotic logo. These were run through a machine and activated at Disney ticket windows. But this year with the advent of the RFID tickets, Disney started a new procedure similar to the old Annual Pass exchange voucher system. When an AFS ticket is purchased on base, the member receives a plastic ticket with a Disney character and green background that looks exactly like the current RFID tickets, but it is nonfunctional. During the activation process it is swapped for the actual RFID ticket the person will use. So our big concern was, if you linked the exchange voucher using the number on the back and then made FP reservations, would the reservations survive the activation and switching to a different ticket with different number on the back? WDW didn’t think so in our initial conversations. But I’m very happy to report that I’ve had numerous reports from readers that their FP reservations are carrying over through the activation process! It’s a big win for the military traveler. Thank you for taking the time to answer some questions for WDW Prep readers, Steve. I appreciate it. Thanks again for this opportunity to share with your readers Shannon! I hope you found Steve's info helpful. I knew almost nothing before this and learned a lot. Will you be able to take advantage of any of the offers? Do you have questions or info to add? I’m a surviving military spouse & will be bringing my daughter & her family to Disney World.. Can you tell me if the military discounts the restaurants offer applies to the entire party or just to me? Me and my friend are visiting Disney in a year. Her dad is in the military so she holds a military card too. Would she be able to use it for her tickets even if her dad will not be joining us? My husband is a 100% service connected disabled (Navy) but his ID is from the VA and uses a bar code. He does not have a DAVPRM code. Would he still be eligible to receive the discounted room rate? Just wanted to see if you knew before I showed up at the park and got denied – is it possible to add the Water Park Fun & More option to the Disney Armed Forces Salute tickets AFTER the 14-day grace period on normal tickets? I’ve seen conflicting reports on websites about this. Hi, can you help me or give me some info? My aunt just bought some disney tickets with the military discount (her husband is a military retired), for my mom/her sister, my brother and I, but she is not coming with us. Now somewhere in the papers that they give to her when she bought the tickets says that the person who bought the tickets needs to go.. is that true? what can i do? Does anyone know what the cost might be to upgrade the Military Salute ticket to an annual pass? Short answer is YES! I did that in 2011 and 2013 and am doing it again this year. I have a military sponsor for my resort but he won’t be able to join me until halfway through the week. Can I still get the discount for every night of my stay or just the nights the sponsor is there? I haven’t been able to find an answer to this, hope someone can help. My sister in law in to be is in the military and wants to get us Disney Land tickets as a honeymoon gift. Since she won’t be with us at Disney, can she buy us the tickets using her military discount and we still use them without her? You can use regular discounted tickets without her being here, but the Armed Forces Salute tickets (3 day hopper passes at Disneyland) must have the military member or spouse present the first day of use to activate the tickets. No. The Disney Military Salute tickets are only eligible for purchase by service members, retirees & certain vets for the exclusive use by their family. A valid military ID is required for purchase, as well as activation of the actual park entry pass prior to use. Can you purchase discounted or tax free tickets to Mickeys Very Merry Christmas Party through Shades of Green? We will be going in November and I can get the tickets online for $74 now. But if I can save money by waiting to purchase when we arrive at Shades of Green, I will. Thank you for you tips. It is just my husband and I, and we are only O-3, so I think that the Shades of Green pricing will save us a lot! Just wanted to add (because I didn’t see it mentioned) that the discount tickets are also available for the surviving spouse/ID card holders as well as Shades of Green stays. Question?? The military salute passes and room discounts become available in August for the following year (October to September). Its March 2015, we are planning our family trip for Oct 4th, 2015. When contacting Disney reservations, we were told that the military discount could not be applied because they do not know what that discount will be for next year. This would mean that someone would have to call in August as soon as the discount came out and hope and pray that the Resort you wanted would still have availabilities left for Military.Does anyone know what to do or say ? Plane tickets will already be purchased for that time therefore we would be locked into a specific time frame. It will be very nerve racking not having a room reservation at least 6 months in advance. having the EXACT problem arriving the 3rd! We are a group of 10, 4 of which are small children, makes me very nervous!! I want to plan way ahead and this makes it more difficult! We actually dealt with this in 2013. You will have to wait until you get to Shades of Green to purchase your tickets because they will not become available until Oct. 1 (or whatever day it ends this year…) It’s not a big deal at all though! MWR won’t get the tickets in until then either… so waiting until you get to the hotel to get them is definitely your best bet! It was very easy, no need to stress! 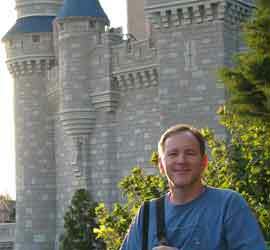 I am going to Disney World April 17…..You can buy tickets at your local military base entertainment center. The 4 day hopper passes or yearly passes can be purchased at your base. The 4 day hopper pass means you can go to any of the Parks anytime during the 4 days. Check with your local base for other packages. A person with military privileges, active or retired, can buy 6 tickets. You must have military I.D. card. A lot of the Disney hotels will give a discount for rooms. We’re staying at Port Orleans, French Quarter and are paying less than if we stayed at Shades of Green. Have stayed at SOG before and loved it…but am looking forward to the one we’ll be staying this time. Disney personnel making reservations can help you pick out a hotel you can afford. They are all wonderful. The Art of Animation hotel is the most recent one and there will be droves of children there. With a little work, you can make your plans. Try Mousesavers.com for lots of info. With the military discounted passes, the military person has to be with the party when you check in at Disney World. Check the Mousesavers for military discounts for the non-Disney owned restaurants at Downtown Disney. Some of them give 10-25% for military. Also note—the military spouse also qualifies for the above also. As long as you have a military issued I.D. card, you are eligible. 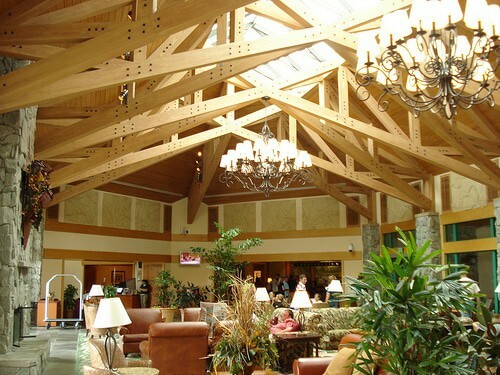 If you can’t get reservations at SOG, don’t panic….you can stay at a Disney owned hotel. Hope this helps. I went through this situation in 2014 for my upcoming May 2015 trip. I called and reserved a room in May or June of 2014 at the regular rack rate. I was told to call back once Disney released the Salute The Troops discount to have it applied to my room only reservation. I called back the day the discount was announced and had it applied to my room and the room of our other traveling party. My reserving my room before the discount was announced, I was guaranteed a room. I know Disney only released a certain # of rooms for this discount, per hotel, but I was going to stay at my resort regardless of discount. Reserving early just made the planning easier. I’ll play the part of an outhouse lawyer and say it’s a very good chance that Disney will once again offer the military salute for FY 2016. They’ve been pretty consistent in their support for the military for at least the past 13 years. We’re military salute vets heading down for our 6th trip in 8 years. Though the specifics and the prices have changed a few times over the years, the shift has been gradual and I do not see them ending it any time soon. Still an incredible perk for our service, especially when combined with a stay at Shades of Green- we save thousands of dollars per trip! Good luck and I hope you enjoy your stay! We are going to Disney World in early June. I wanted to go ahead and buy tickets ahead of time, but am not sure if we qualify. My husband was in the Army reserves for 10 years. Since he did not retire from the military, but still has an ID, does he qualify for some type of discount? Does this apply to individuals with the Canadian army? I am planning a trip for June 2014 for myself, my husband, my adult son, who is an active Alabama National Guard member and also served in Iraq during 2005-2006 and his six-year-old daughter. My question: He may or may not be on active order duty at the time we are planning for. Can he still sponsor us and reserve rooms and purchase tickets for us with the military discounts? Thank you in advance for any information! My husband is in Alabama traditional air guard, and we bought Military Salute tickets a few times without him being in active duty status (if he is currently serving even just one weekend a month, he qualifies). We also qualify for a free Sea World visit every year for the immediate family. I’m not sure about the Shades of Green though. I believe you mean you are a DoD civilian retiree, is that correct? 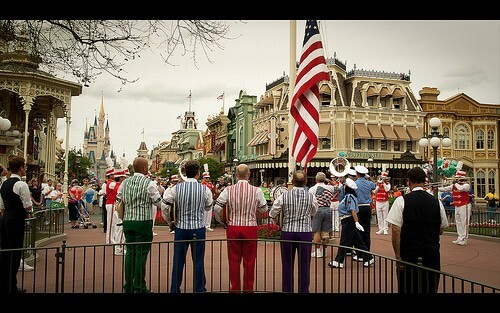 If so, while you are not eligible for the Disney Armed Forces Salute, you are eligible for Shades of Green stays. I am a DOD retiree but not military. Does this included me? Other than access to Shades of Green, are there any other perks or discounts available to DoD civilians? Unfortunately not. As you mentioned you can stay and buy tickets at Shades (except the Disney Armed Forces Salute tickets), And may also be able to buy discounted tickets at your base ITT Office. Thanks for this post! We are an active duty military family and took our last trip (and first trip as a family) without taking advantage of any military discounts. It was all very overwhelming navigating all of our discount options but we wanted the experience of staying at a more traditional Disney Resort and wanted to use the Magical Express. We also ended up booking everything through Disney which gave us a 20% discount on our Coronado Springs resort stay. We were told by the cast member who we booked with that it was cheaper to book the Magic Your Way package than to break things up and buy our tickets separate with a military discount, so that’s what we did. Next time, we may try out some of these suggestions! Again, thanks for the great information!! Do use the military discounts next time! You’ll save much more that 20%. 30% off at the Coranado and 50% off 4-day tickets. Always do the math on your own though! Depending on the needs of your family, it may or may not be more cost effective to use the military discounts. We’ve done both: staying at the Wilderness Lodge, getting 40% off that rate is huge dent in the budget, but offers like Free Dining staying at a Value Resort saved about $600 for my family instead of booking the military discounts. This, of course, requires you to plan out what you would realistically be eating, etc. But still, always do the math and make no assumptions! Perfect timing on this article! I have a friend in the Navy that is planning to take his kids to WDW, and I had told him there were military discounts but wasn’t sure what, since they’ve never applied to me. Forwarded the link to him – thanks!!! Also Shades of Green charges you $5 a day to park (if you drive) at there hotel.